Percy DeWolfe Memorial Mail Race Congratulations to the Percy DeWolfe Raffle Prize winners! 1st prize - Ken Reeder 2nd prize - Angela VanNostrand 3rd prize - Jess Sears 4th prize - Mike and Jill 5th prize - Michelle Peter Thank you to everyone who supports the Percy DeWolfe Memorial Mail Race! 1 month 1 day ago. Percy DeWolfe Memorial Mail Race Random shots from the finish line in Dawson City. Photos supplied by AMagee Photography 1 month 1 day ago. Percy DeWolfe Memorial Mail Race And the winner of the Percy DeWolfe Memorial Mailrace for the third year in a row is Jason Biasetti. This is his official at the finish line portrait. 1 month 2 days ago. Percy DeWolfe Memorial Mail Race Drone's-eye view of the Percy DeWolfe Memorial Mail and Percy Junior races finishing line today in #DawsonCity! Thanks to Benjamin Steffes-Lai for these great shots :) 1 month 2 days ago. Percy DeWolfe Memorial Mail Race Thanks so much to the Eldorado Hotel for sponsoring the Percy at the Team Dog Level ($200+). 1 month 2 days ago. 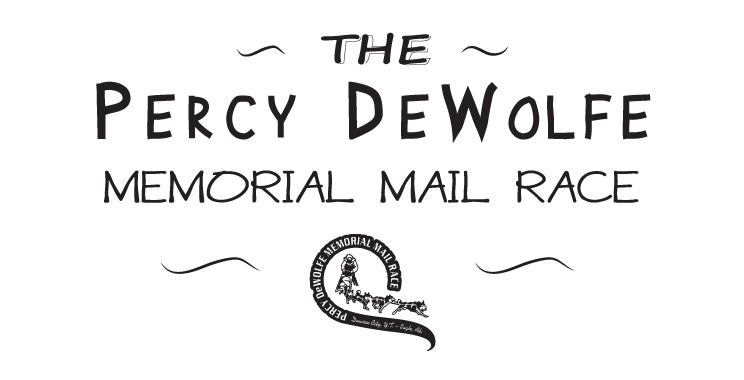 Percy DeWolfe Memorial Mail Race Wow + apologies! I accidentally went live with this video to another page I manage! #winningatlife! 1 month 2 days ago. 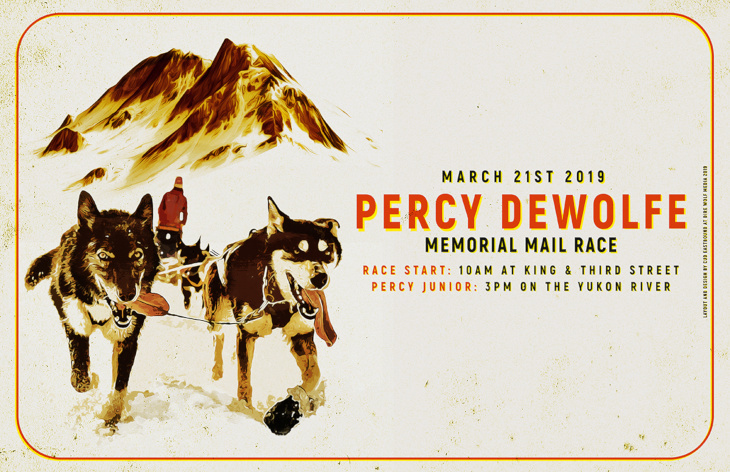 Percy DeWolfe Memorial Mail Race Thanks so much to the Downtown Hotel for sponsoring the Percy at the Wheel Dog Level ($500+). 1 month 2 days ago. Percy DeWolfe Memorial Mail Race I missed Gaëtan Pierrard returning to Dawson this morning (09:34 Percy Junior race 2nd team in) so here he is looking cheerful after getting snacks and water to his dogs. 1 month 2 days ago. Percy DeWolfe Memorial Mail Race 1 month 2 days ago. Percy DeWolfe Memorial Mail Race Dawson finish line arrival times for Percy Junior (we will update as more are confirmed): 09:19 Craig Houghton 09:34 Gaetan Pierrard 09:41 Annika Wahlisch 10:16 Claudia Beer 10:29 Jess Sears 11:38 Matt Afinson 12:27 Kathleen Frederick 14:18 Danny Dowhal 1 month 2 days ago.